Red sansho berries have a very floral fragrance evoking old roses and sage, the ripe version of green sansho berries they have a more earthy flavour. 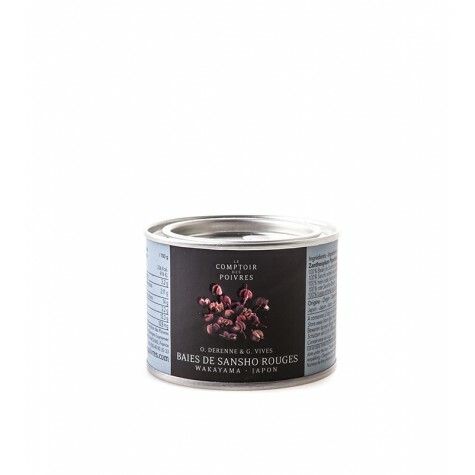 Sansho grow on bushes or small trees from the citrus family which explains their distinctive flavour notes of pink grapefruit, lemon and lemongrass with a hint of sage and a surprising fragrance of rosewood. 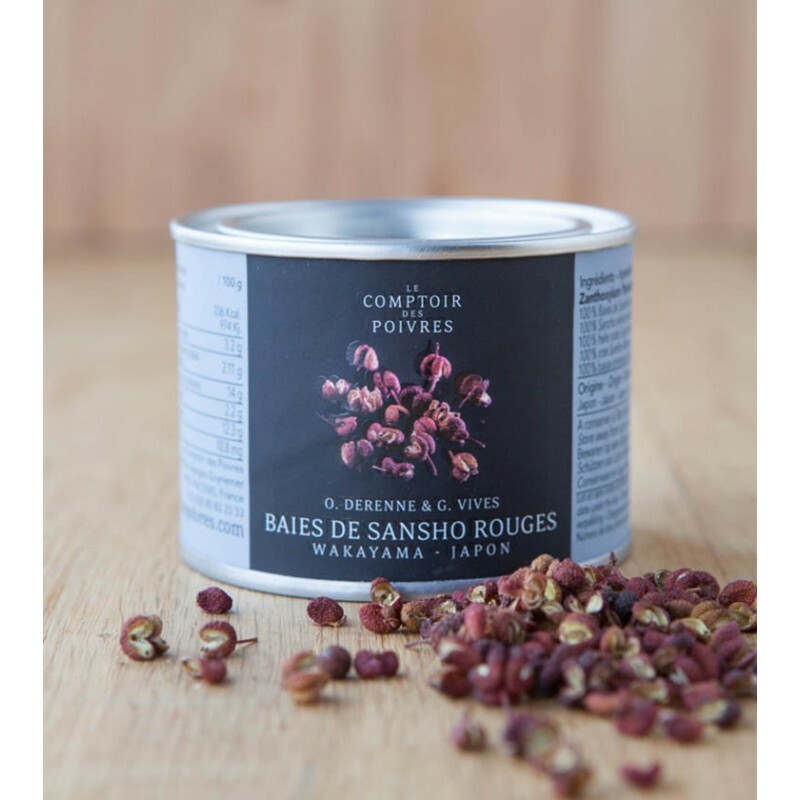 These flavours give way to a tongue numbing sensation which means sansho should be used finely ground and sparingly although a whole berry, served to the uninitiated, can raise some very quizzical looks as the flavours and unique spiciness starts to take hold. The berries are best stored whole and finely ground before using sparingly with meat, fish or desserts, especially good with barbecued chicken and an instant hit when lightly dusted on vanilla ice cream or sorbet. Storage: Cool, dark, dry place away from direct sunlight.